Spotted on Facebook, this wonderful photo by Mustafa Karim. All faiths all eras, this is the Luxor I love. 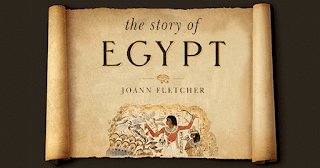 We know about their bosses, but who were the ordinary working people in ancient Egypt? 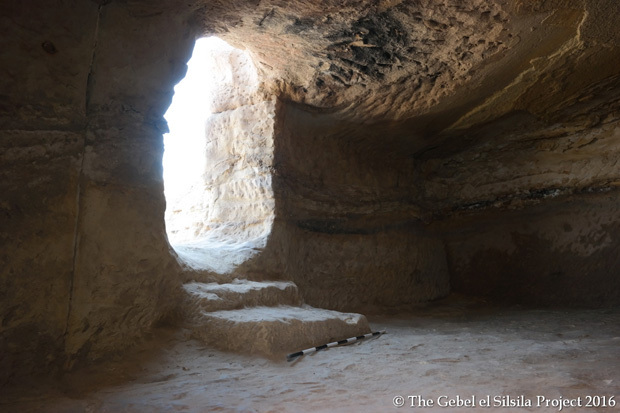 The ongoing Silsila project is unearthing new data at the site of an ancient sandstone quarry. In a previous article, I described how underlying geology influenced the monumental building style of ancient Egypt, and how limestone became the building material of choice in the north, and sandstone in the south. As it naturally fractured into useable and easily worked blocks, limestone was, however, the building material of choice over the whole country for the first periods of ancient Egyptian history, and it was not until the 18th dynasty (approximately 1543-1292 BC) that a major shift occurred towards the quarrying of sandstone in the south. This shift was, at least in part, driven by the increasing difficulty of extracting limestone from long established quarries such as those at Gebelein. Although Nubian sandstone was harder to work, its greater inherent strength allowed for more reliable large scale building—not least allowing the construction of the great portals that relied on massive sandstone architraves. 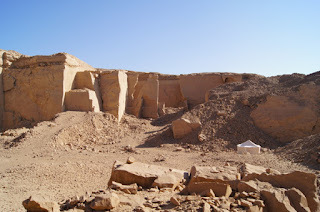 Although the quarries had been used periodically since the Middle Kingdom, by the reign of Hatshepsut (approximately 1479-1458 BC), the superior building qualities of sandstone led masons and architects increasingly to an area 65 kilometers north of Aswan—between Edfu and Kom Ombo—where bluffs of the hard rock sweep down on both sides of the Nile, producing the narrowest point anywhere along the great river. To the ancient Egyptians this was Kheny, ‘Rowing Place’—known today as Gebel el-Silsila, ‘Mountain of the Chain’. 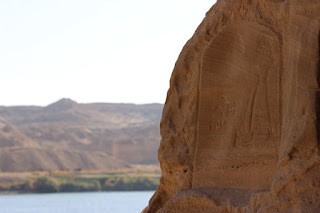 Over the centuries from the New Kingdom to the Greco-Roman period, Silsila became the largest sandstone quarry in Egypt, providing the building materials for major temples including Dendera, Luxor, Karnak, Esna, and Edfu. Perhaps as much as seven million tonnes of sandstone were quarried from the site during the Pharaonic period alone. Surprisingly, given that this major ‘quarryscape’ has long been known, minor excavations having taken place in the late nineteenth and twentieth centuries, and a mostly-unpublished Egypt Exploration Society survey having taken place between 1955 and 1982, it was not until 2012 that a major archaeological study of the area began under the auspices of Lund University and the supervision of the Aswan and Kom Ombo inspectorates. And yet, perhaps, it is not too surprising, for what the Silsila project (under the direction of Dr. Maria Nilsson) is exploring is the lives of workers, not the lives of the pharaohs and priests who dominated Egyptology research for much of its history. We have learned much, of course, from Deir el-Medina—the village within which lived the artisans who created the royal tombs of the Valley of the Kings—and from many papyri describing work processes, but at Silsila we are beginning to meet workers at the rock face. These workers left their mark, quite literally, in the form of over five thousand quarry marks and pictorial graffiti found so far, and in several hundred hieroglyphic and hieratic inscriptions. In this, it is now evident, they were following in a carving tradition which extends back at Silsila to the epipalaeolithic (around 8,000 years ago), predynastic, and early dynastic periods. Stele with modern graffiti near the river. Other marks in the quarry face are beginning to reveal the work methods associated with extracting the blocks—these include rope holes, foot holes, and postholes that would have held the scaffolding and helped the workers to work the faces to a considerable height—the quarry contains faces as high as 40 meters. Increasingly, it is possible to get a sense of such elements as the size of the blocks that were extracted, the types of tools used, and the directions in which the quarrymen attacked the rock face. Again, there is much more work to be done to understand the evolution of techniques, which currently appear to not only change from dynasty to dynasty, but sometimes from one pharaoh to the next! Our understanding of the ‘industrial archaeology’ of Silsila is also being enhanced by locating other work areas: smithies, stone huts, ramps, shelters, and the road systems that led down to the Nile so that the blocks could be transported away during the annual inundation from the quarry harbor. There are, however, significant limits to what we can currently infer about the workers themselves. Pottery finds together with the recently rediscovered Ramesside temple of Kheny—gives a sense of where the workers and their families may have lived and, perhaps, worshipped, but there are no documented papyri, or other administrative records, which can help us understand how daily life was organized, or, indeed, who the workers were. 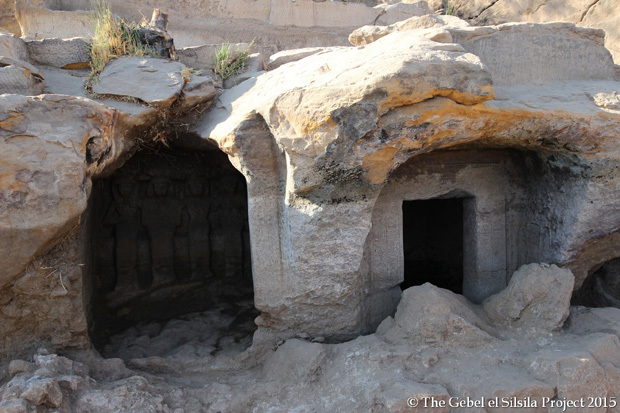 A recently discovered tomb in the New Kingdom necropolis. Were they principally craftsmen or laborers? Were they free men, prisoners of war, or slaves? As yet, we do not know. 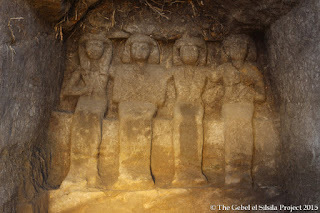 However, the discovery, earlier this year, of an 18th-19th Dynasty necropolis of over forty tombs containing the partial remains of men, women, and children and their coffins, would seem to indicate the possibility that settlement at Silsila may have been of greater permanence than has been previously thought. As is the way of the world, we know slightly more about the bosses. The more distant big bosses are suitably recorded, naturally. The so-called ‘Speos of Horemheb’—itself probably a former gallery quarry—is well known, though emerging evidence (including an underlying scene of two obelisks on a barge which is similar to one at Hatshepsut’s temple in Deir el-Bahari) suggests that the temple predates Horemheb. Later pharaohs, including Ramses II and Ramses III, also added inscriptions to the temple, which was carved into the cliff face. A number of other kings are also recorded in a variety of stelae, or rock-cut commemorative inscriptions, on either side of the river. Of more direct interest, in terms of the functioning of the quarry, are the thirty-two relatively modest rock-cut shrines which line the west bank of the Nile. Constructed for the high officials of the 18th Dynasty who were in charge of the site—many of whom are well known from other documents and monuments—the shrines share many characteristics in their architecture, decoration, and inscriptions, which give some indication of how the quarries were managed. 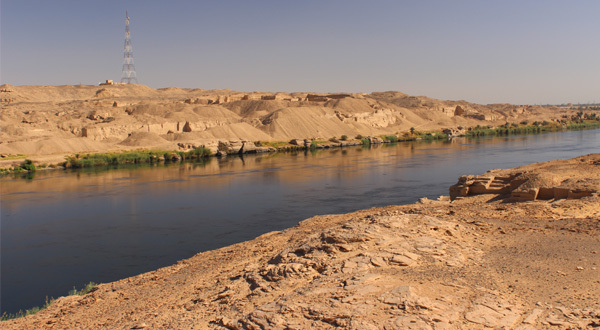 It seems that each new archaeological season’s work at Gebel el-Silsila produces new data concerning the lives of ordinary working people in ancient Egypt, and the organization of their work. The forthcoming season will see work continue in the necropolis and the rediscovered temple site, together with making the site safe for tourism, and protecting the discoveries. I, for one, will be waiting to hear what fascinating discoveries the team will make this year. Randall’s hands have touched a number of different collections, material types, projects, and themes. It would be difficult to limit our showing here to what he has done. Instead, this month’s From the Archives will highlight his most recent project. We’ve known for years we had a collection of panorama photos taken by George Swain in the 1920s with the use of a Cirkut camera. All this time those photographs sat in several drawers with barely a glance. One print, of the Athenian acropolis, hung in Kelsey Director Christopher Ratte’s office. This daily viewing led Dr. Ratte to inquire into this collection, what else we had, and how could we get it on display. We tasked Randall with the project, for he is quite adept at many things digital. That and he had the skills to stitch together these images, as our scanners are not large enough to capture the image in one scan. Instead, each photo had to be scanned in sections, pieced together in the editing process. Randall was able to do this seamlessly and quickly. A selection of these photographs are now on display in Newberry hallway (Athens, Istanbul, Jerusalem, Giza). But the project exposed us to the greater collection of panoramas, well over 100 photographs, and all the sites and views Swain captured. 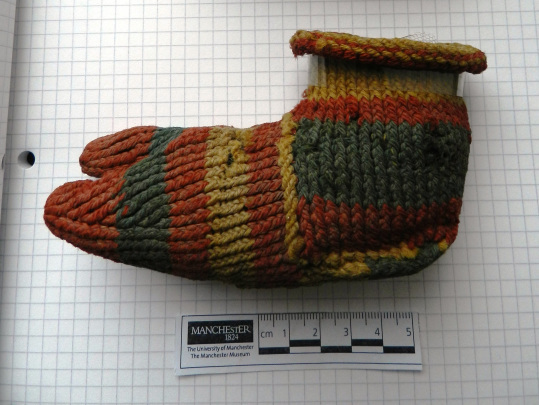 In March 2012 I visited the Manchester Museum and was able to spend time with the Child's Coptic Sock, which as off display at that time. I believed the sock to be knitted and made a knitting pattern and a pair of replica socks based on the ancient original. I had all but forgotten about the project when in May of 2015 I received an email from Dr Giorgios Boudalis who works at The Museum of Byzantine Culture in Thessalonica (Greece) who found me through the Manchester Egypt blog. He asked me to make a pair of socks for an exhibition in New York 2017 using the technique used in 'Coptic Knitting: An Ancient Technique' by Dorothy K. Burnham Textile History Volume 3, Issue 1 December 1972, 116-124. The technique in the article was also used for bookbinding Coptic Books which is his area of interest. Inspired by this request I visited the Whitworth Gallery and spent time with Curator Frances Pritchard looking at samples of Coptic Sock broken parts to observe any damage which might give clues to their construction. 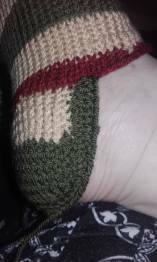 I brought premade squares made in both Tarim stitch and knitted stocking stitch which I cut roughly to compare the damage. The experiment was inconclusive as the damage on both squares looked similar to the pieces. We noted that the originals were made in fine 3 ply yarn which would rule out the "spin as you go" method which would create the yarn by twisting fleece with the needle as the work progressed. I also searched the Manchester Museum collection of needles and bodkins, while interesting were not suitable for the replication of the Tarim Stitch. I then discovered a demonstration of Tarim Stitch on You Tube which used a flat wooden needle. http://www.neulakintaat.fi/ (Finland). Eventually I sourced a fine wooden needle on Etsy from Belarus. The needle needed to be shortened and flattened before it met the needs of the project. Knitting is constructed with two rigid needles and a continuous length of yarn. Tarim stitch is worked with a short flat needle using an "arm's length" of yarn at a time. 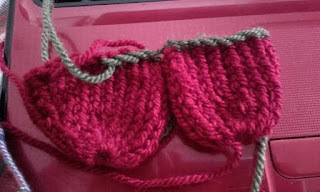 Splicing the lengths of yarn together is fiddly and time consuming which makes the overall task slower than knitting. 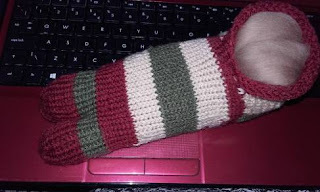 Having conquered the stitch method of construction many questions are left. Where did the yarn originate from, it looks like wool though there seems little evidence of sheep farming in Egypt? What dyestuffs were used to generate the lovely bright colours? What were the needles made of wood, reeds, thorns or bone? What tool was used to cut the yarn? The project so far has been truly International via the magic of the Internet and thanks to the staff at Manchester Museum and Galleries for being so willing to give experimenters like myself access to their collections. Although many of the world’s ancient treasures and artifacts have been recklessly destroyed or lost in the winds of time, those that we have been fortunate enough to keep unscathed possess immeasurable value and vital knowledge on the early days of humanity. As you may have noticed in some of our recent articles, one new-age tool that has emerged to help preserve and recreate these historical artifacts is 3D printing technology. Whether the goal is to restore relics that were destroyed by the heartless terrorist organization ISIS, or just to give museum-goers an in-depth look at the treasures buried with the Egyptian mummy named Neswaiu, 3D scanning and printing have become increasingly vital tools to keep our history intact. Now, the UK-based Maidstone Museum is utilizing 3D printing technology to reconstruct the face of a 2,500-year-old mummy named Ta Kush. 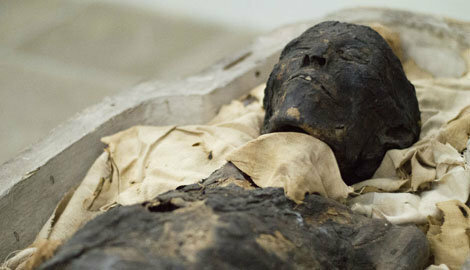 The museum will collaborate with medical and scientific experts from the Kent Institute of Medicine and Science and Liverpool John Moores University, who will conduct a CT scan of the mummy. This scan data will be used to create a digital facial reconstruction, which will be studied to help determine how the mummy looked before dying around the age of 14. The Maidstone Museum will also utilize 3D printing to create a physical model of the facial reconstruction, which will displayed and handled by the museum’s visitors. The initiative is a part of the Heritage Lottery Fund (HLF), a £78,700 project that will be invested into redesigning the museum’s Ancient Civilizations Gallery, which is where Ta Kush and the reconstructions of her face will be put on display. Although the mummy was brought over to England back in 1820 and hasn’t been given an autopsy since 1842, the renewed interest in studying Ta Kush has stemmed from recent discoveries about her origins. The research is being carried out by specialists from the Impact Radiology Project, which is an online mummy database administered by the Western Ontario University. “We now know that she is Ta Kush and not Ta Kesh. For the last 150 odd years we have been calling her Ta Kesh. Ta Kush means the ‘Kushite woman’. This means that she was probably from the Sudan rather than Egypt itself. So we are already starting to look at her in a very different way even before we have undertaken the scan,” says Samantha Harris, the collections manager at Maidstone Museum. Can this mystical musical tradition make comeback in Egypt? CAIRO — In a narrow alleyway in the Abdin neighborhood in central Cairo, the band Asyad el-Zar (Zar Masters) performs a traditional show the first week of every month in a small theater located in the midst of old houses. The sounds of tambourines and traditional musical instruments are central in these performances to remind Egyptians of the Zar art, which has been disappearing gradually from Egyptian folklore in the past two decades. Summary⎙ Print Some Egyptian artists are attempting to revive Zar folk music, believed to have been brought to Egypt from Ethiopia and Sudan. 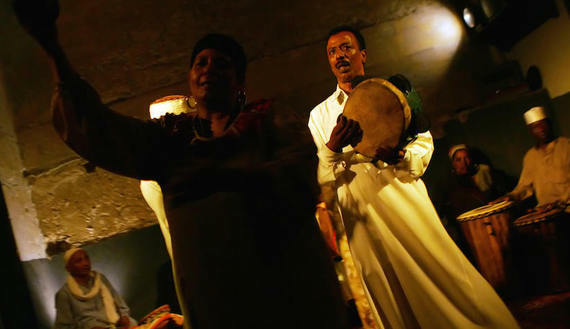 Zar is the oldest form of Egyptian folk music, and historians have disagreed over its origin. Some believe that it originated in Ethiopia and Sudan and from there it moved to Egypt then to some other Middle Eastern countries. Egyptian Zar intertwined with the Sudanese version, with the influx of Sudanese migrants to Egypt during Mohammad Ali’s era in 1820. The Sudanese tanbura (a six-string lyre) and rango instruments became integrated in the Zar music. As a result, several types of Zar music could be distinguished: Egyptian Zar, which involves tambourines and drums; Sudanese Zar, which involves the traditional tanbura; and Abul Gheit Zar, which brings in Sufi songs and tawshihat (spiritual hymns). 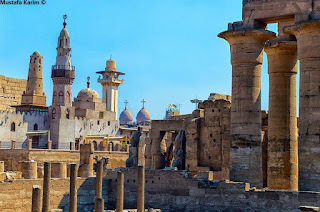 Egyptians, especially women in popular neighborhoods and villages, have always linked this last type to superstitions and exorcising demons and jinn, genies from Islamic mythology. A typical Zar performance opens with calm rhythms of tanbura and rango, coupled with songs including words in Sudanese and local Egyptian accents from Upper Egypt and Port Said. Then, the drums and tambourines come in to include fast and successive beats that change the ambiance to make it more exciting and luring to engage the audience and encourage them to interact with the music. A dancer strapping a belt with goat hooves around his waist (known as the mangor belt) adds to the sound of traditional instruments made of animal leather and derivatives. 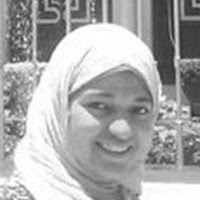 Zainab, a woman in her 60s, has performed in Zar ceremonies since her childhood, as her parents would hold these parties at their house in the Port Said neighborhoods. But the ceremonies stopped for lack of demand from the locals. Many theatrical works in Egypt have linked Zar to the world of jinn, sorcery and blasphemy. This gave it a stereotypical image and socially stigmatized it. Mazaher al-Zar is another band formed by Ahmed el-Maghribi, the head of the Egyptian Center for Culture and Arts. The center has been welcoming Zar artists in Egypt since 2002, as they meet up to hold weekly ceremonies on a stage that was inspired by traditional heritage in Cairo. In an attempt to revive interest in Egyptian folklore, Zar has been elevated from being practiced in popular neighborhoods to being performed on the stages of cultural centers. These attempts also aim at banishing the stereotypes that have stigmatized Zar performance sometimes and classified it under blasphemy and ignorance. This form of art is now being added to the ancient Egyptian heritage whose scope was expanded to include the African musical heritage also. The advent of script has never managed to eliminate the use of symbols. 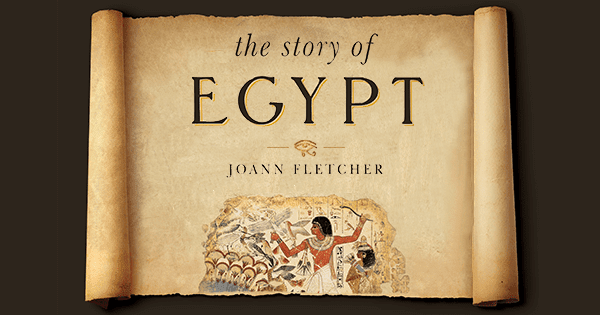 This is the finding of research carried out on Ancient Egyptian identity marks. 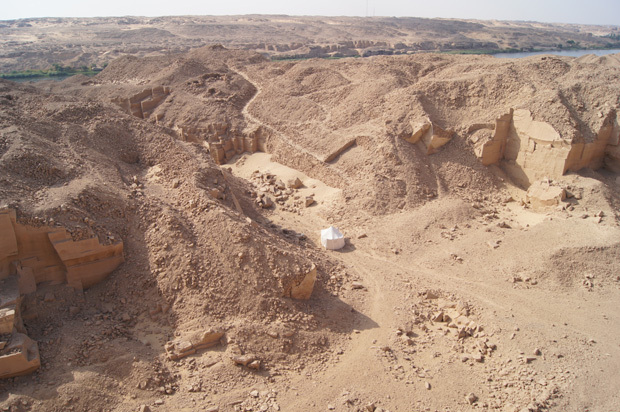 More than three thousand years later Deir el-Medina reveals a wealth of archaeological information. An exceptional number of written sources have been found covering trade, the law, religion and literature. Researchers have also found a large number of identity marks, often imprinted on potsherds or as graffiti on the rock walls of the necropolis. For a long time scientists had no idea how to interpret all these symbols, so they were dubbed very unscientifically 'funny signs'. Van der Moezel's PhD is part of a larger project entitled Symbolizing Identity. Identity Marks and their Relation to Writing in New Kingdom Egypt, managed by Dr Ben Haring. Haring was awarded a subsidy in 2011 by the Netherlands Organisation for Scientific Research (NWO) to conduct this research. The Grand Egyptian Museum (GEM), a gateway to the history of the pharaohs under construction outside Cairo, is attempting to do the impossible: hold its own next to the pyramids of Giza. Egypt’s ministry of antiquities hopes the gargantuan complex, designed by architects Heneghan Peng, will be built by the end of 2016, paving the way for a 2017 “partial opening”, according to Daily News Egypt. But with between 3,000 and 5,000 construction workers already labouring around the clock and a budget rising to more than $1bn, museum management and the ministry will have their work cut out to meet the official 2018 deadline. 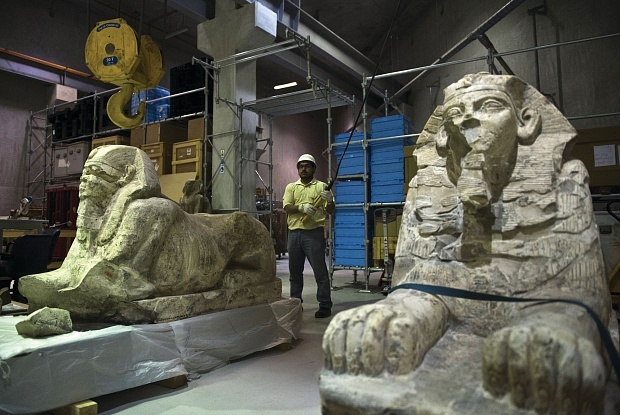 The GEM, announced by the Egyptian government in 1992 and originally scheduled to open in 2011, is poised to become one of the world’s largest museums. The 100,000-strong collection will include around 5,500 artefacts from the tomb of Tutankhamun, many of which have never been exhibited. With 93,000 sq. m of exhibition space, the GEM is designed to offer more room and better conditions for conservation than the Egyptian Museum in Tahrir Square, Cairo, which has held the Tutankhamun collection for more than 80 years. A vast gallery will be entirely dedicated to the trove, according to the architect Pier Paolo Raffa, a consultant on the displays. 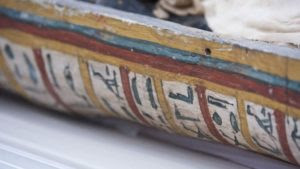 Most of the other works in the collection are also coming from the Egyptian Museum, but the GEM plans to integrate artefacts from other museums and sites across the country. Officials hope that the institution will boost a tourism industry suffering in the wake of terrorist attacks and political unrest. The museum aims to attract four million visitors a year, putting it on a par with the National Gallery of Art in Washington, DC. According to local press reports, just three million tourists visited Egypt in the first half of 2016, 50% fewer than the same period in 2015. The institution also needs to secure funding to meet its escalating costs. The budget has doubled, from $550m in 2007 (financed through a $300m loan from the Japanese government, a $100m grant from the antiquities ministry and a $150m fundraising campaign) to more than $1bn in 2015. Negotiations are under way for a second loan from Japan worth $482m, while the Egyptian government has increased its contribution to $250m, according to the project’s general supervisor. Egypt is moving to end its dollar exchange rate problem within months, President Abdel-Fattah El-Sisi said, warning that the Arab world's most populous nation could no longer put off tough measures if it hopes to revive its economy. In an interview with three state-run newspapers published Tuesday, the Egyptian leader said officials had waited too long to act, and that piecemeal measures taken over the years were no longer tenable. His comments offered some of the strongest indications yet that Egypt was moving to free its exchange rate or devalue its pound. "The size of the challenges is beyond imagination, and the responsibility for coping with them doesn't fall solely on my shoulders but is a responsibility shared by Egyptians as a whole," El-Sisi told state-run Al-Ahram. "The future of the nation is at stake." The impoverished country of more than 90 million faces tough economic measures if it is to secure a $12 billion International Monetary Fund loan that could unlock billions of dollars more in aid. An initial agreement with the IMF, meant to restore the confidence of foreign investors and provide a desperately needed infusion of dollars, was reached earlier this month. Start your day with what's moving markets. Economists expect the central bank to devalue the local currency or adopt a flexible exchange rate regime to try to attract investments and ease a crippling dollar shortage that's hampering economic growth. Officials have worried that a sharp devaluation, coupled with the lifting of subsidies on key items such as fuel, could lead to a spike in inflation and trigger unrest. At the same time, with the decline in foreign reserves to $15.5 billion in July, the government's ability to defend the currency has become increasingly limited. The Egyptian currency is currently selling on the black market at a roughly 30 percent discount to its official rate. Egypt has struggled to spur economic growth and attract foreign investments since the 2011 uprising that ousted President Hosni Mubarak. The government's economic program includes plans to introduce value-added taxation, cut electricity subsidies and curb spending. Drone fly-through of the Giza Necroplis.